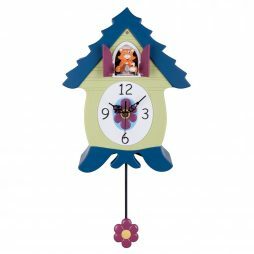 Sword Lilies Cuckoo Clock is an aesthetically alluring 8 Day Movement telltale by Romach und Haas. They’ve created this one with an undying devotion. 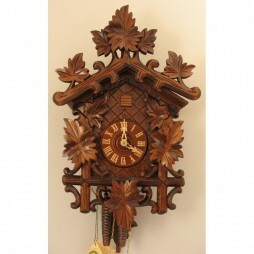 This is quite evident from the beguiling design of this clock. 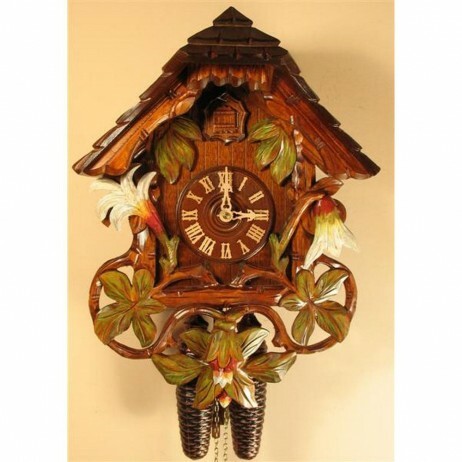 Carved at a chalet, this cuckoo telltale features sword lilies in green and white circled around the frame. 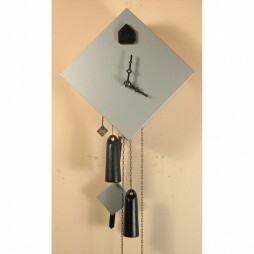 It has a precise mechanical brass movement that allows time to escape with the typical tick of a pendulum. The clock uses realistic colors that will make your walls come to life. 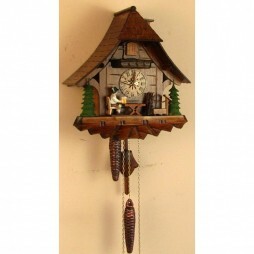 Bring in this gorgeous Black Forest chalet-style clock for your living area today!